A separate stretch of I-70 upon which money did not rain. Occasionally a situation arises that puts one’s moral fiber to the test. Less frequently, a Brink’s truck will hemorrhage thousands of dollars in cash onto a highway at your exact rush hour location. 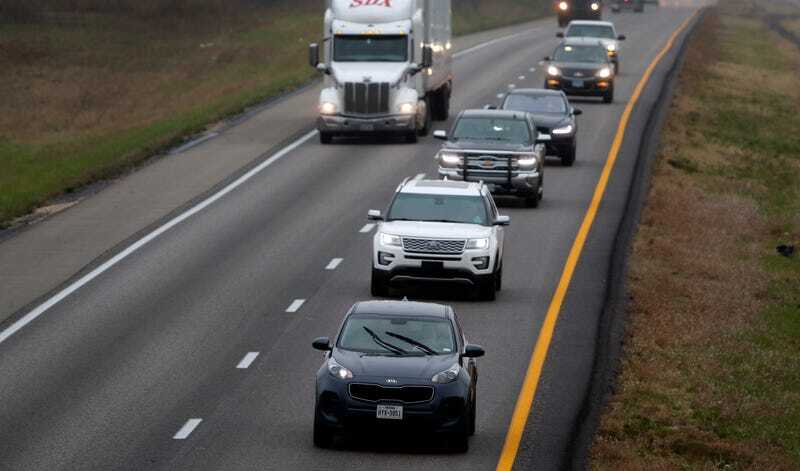 Inevitably, commuters began making off with the money, but the free-for-all only lasted a few mutes before state troopers had blocked off a portion of the highway. In Danae’s video feed a trooper can be heard asking her “You got money?” to which she answers in the negative.